Large rural property, 1 1/2 acres of land. Secluded, 4 bedrooms, needs modernisation. This large house, with room to increase the habitable space if required, is worthy of . . . Located in a small hamlet, close to a village with bakers, supermarket, butchers, . . . Village house over 3 floors, and garden with stunning views. Mains drainage, 4 bedrooms, 2 bathrooms, 2 garages. Situated in the very pretty village of Genouillac, which sits on the river "La Petite . . .
A picturesque hamlet setting for this very pretty, renovated stone house, 3 bed, 2 bathrooms, large garden (1/2 acre), lovely views. 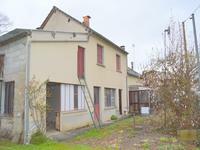 Located within walking distance of the lovely village of Genouillac which sits on the river . . .
From the quiet hamlet of 4 properties, it takes 4 minutes in a car (3 kms) to get to the very . . . Very lovely, totally renovated, very private, secluded location, 3 double bedrooms, large private garden. Located on a totally private lane, with private electric double gates, with no neighbours or . . . Very secluded, pretty, stone farmhouse and barn, over 2 acres of land with private fishing lake, shared with one neighbour. Hidden away down a small lane, this is a totally private and secluded property which lies to . . . Very pretty, renovated, chocolate box property in very quiet location with lovely garden, 3 bedrooms, barn and garage. Located in a quiet lane, and set back with garden on four sides, this very lovely, large . . .
A once-in-a-lifetime opportunity to own a stunning property for modernisation. The house is . . .